Anton "White Fairy" Joseph will be etched in the history of NCCU Cadence-lypso competitions for generations; he won four in a row when he placed first in the 2018 competition at the Windsor Park Sports Stadium last week Friday. He first won in 2014 and then 2015 and again in2016; the 2017 show was cancelled because of Hurricane Maria. 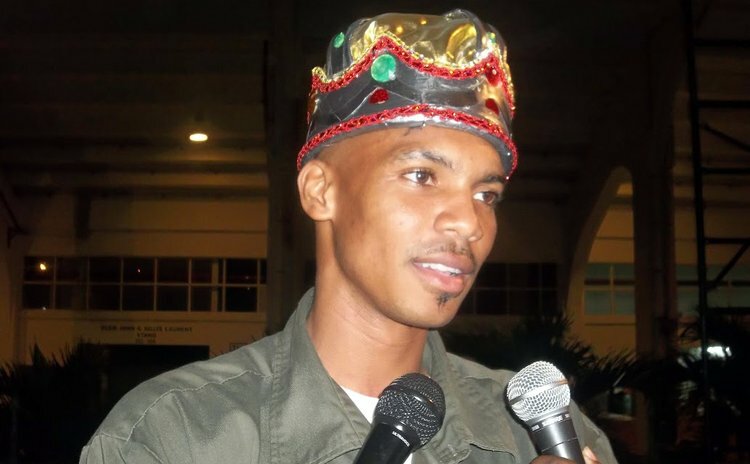 In 2018 he reigned supreme from a field of 11 competitors to emerge as the undisputed king of Cadence-lypso with his popular rendition "Still Striving", a song about struggles after Hurricane Maria. Chris Sylvester with "Chauffeau Bus" and Carsim Birmingham with "Lavi Dou" came second and third respectively. White Fairy says he will not compete in 2019 but will move into the Calypso arena. "Right now I have achieved it all and I will go out and further promote the Cadence and so I will not be competing for a fifth crown in 2019; I don't think that I have the energy. I will venture into the band part to keep the Midnight Grovers alive. I will be looking at the Calypso arena right now. Anton sings what he thinks and so I put my thinking into song and deliver it to the people and love that vibes. We need to keep the Cadence alive and join with NCCU and keep it going," Joseph said. He continued: "For my first time in my life I was feeling like I was in a competition…all the other years I was competing just for fun but this year 2018 was different since the competition was tough and the competitors came hard at me. My concern was not about just winning, it was about delivery of the song and its execution and I did just that and pleased the judges and fans." A fire officer by profession, White Fairy says this win meant a lot. "I want people to appreciate the Cadence and don't let it die. That is Dominica's roots and we have to promote it. I want to say thank you to the NCCU for this Cadence show for had it not been for them the Cadence would be dead and I would have been nowhere," he said. Joseph will be awarded prizes totaling EC$10,000 in cash and kind while Sylvester gets EC$5,000 and Birmingham $3,000. In the band section Fanatik Band was the winner followed by the First Serenade Band of Pointe Michel.